& 230 Squadron from November 1936 until June 1938. 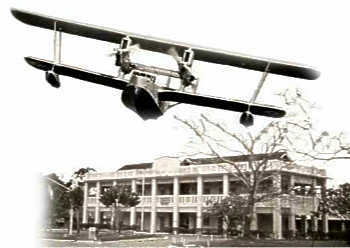 The Singapore III was developed as a resort of several prototypes developed by shorts and was the first large, all mental, Flying boat. It was a byplane with different sized wings. The span of the largest being 90ft. 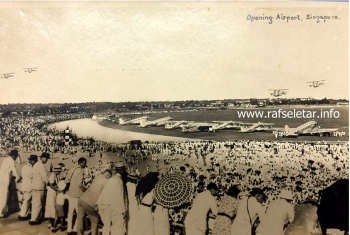 The overal length of the aircraft was 76ft. Powered by four Rolls-Royce Kestrel VIII 12-cylinder inline engines which produced 560hp each which were mounted between the wings in two tandem push-pull pairs. The crew of 6 was located in a central cabin and there were fore, aft and midships open gun positions using the Vickers machine gun or a Lewis gun. 205 squadron was equipped with six Singapores and on outbreak of war these flew patrols over the approaches to Singapore and the Indian ocean, using bases in Ceylon and the Nicobar Islands as out-stations. 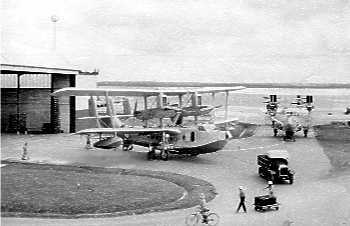 In April 1941 when 205Sdn received its first Catalina some of the remaining Singapores were tranferd to RNZAF and by October the last Singapore had been flown away by for service in Fiji.